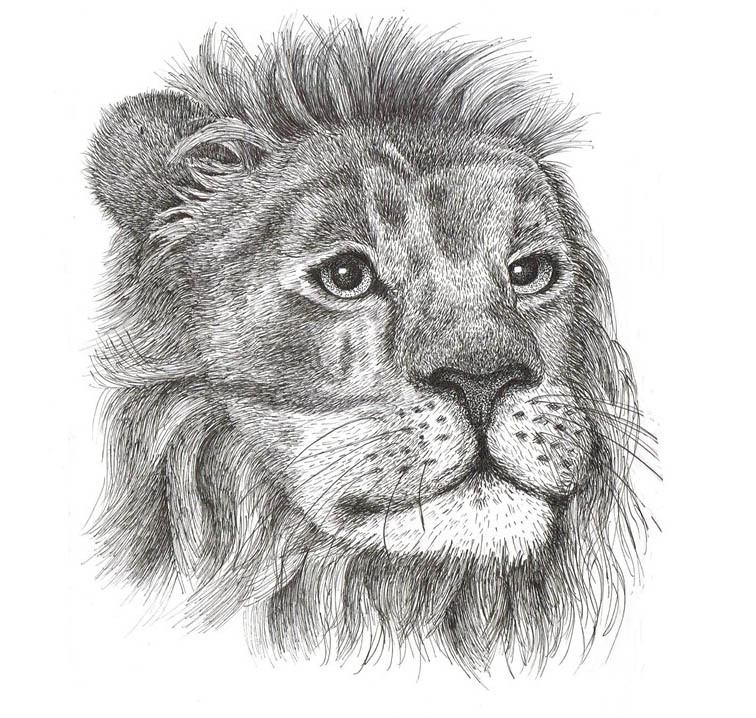 My wonderful and talented friend Rebecca John provided this pen-and-ink drawing for the cover of Kruger National Park: Animal Tales. Check out more of Rebecca's science communication work on her blog. If you’ve read the “About” page on this site, or the very first introductory blog post, you’ll know that this whole wildlife photography thing started for me on a trip to South Africa in March and April of 2013 – specifically in Kruger National Park, which is along the eastern border with Mozambique. Last year, I wrote a short book about Kruger National Park, my experiences there, and the wildlife that makes the park so popular. I talk about each of the “Big Five” safari animals – elephant, buffalo, lion, leopard, and rhino – with each one serving as a starting point to talk about different aspects of conservation, biology, food webs, and all sorts of life in the savannahs of eastern South Africa. The book (actually an interactive iBook, best read on an iPad) was an assignment for my Science Communication coursework, and it’s now been a little over a year since I turned it in. It was published January 1st, 2017. The following is an excerpt from Chapter 5: Lion. Heads up – this story is a bit gruesome. Giraffes already have high blood pressure to ensure circulation up to their heads, but these guys must have really been freaking out, given what was just down the road. One hot morning, Su and I set out from Olifants Rest Camp in our tiny, boxy rental car with all the windows open (the AC didn’t work). Soon we reached a fork in the road. “Which way?” asked Su. I pointed to the right. It was a smaller, rougher track, so we’d be less likely to see other tourists down that way. After a few minutes of washboard gravel, we spotted some giraffes off to one side. They were completely disinterested in us, and just kept staring down the road in the direction we were driving. We snapped a few pictures and moved on. I hung my arm out the open window and unstuck my sweaty legs from the seat. Suddenly Su grimaced. “Ugh, do you smell that?” I frowned, sniffed, and almost gagged. There was a truly horrific stench drifting in through the windows. We hastily rolled them up and immediately started looking for the source. We found it 50 meters down the road. It was a giraffe, or rather, had once been a giraffe. Now it was four awkwardly splayed legs, an enormous ribcage, seven absurdly long vertebrae, a grinning skull, and some shredded patchwork skin peeled back to reveal the meat underneath. Farther back there were a dozen lionesses resting in the shade of the acacia trees. Transfixed, we watched as one approached the carcass and buried her nose in the rotting flesh, smearing blood all over her chin. After a while, another two joined her at the feast. Flies hovered everywhere, vultures looked on from a nearby tree, and Su and I roasted in the car with the windows blocking out the smell. Rather morbidly, I wondered how the lions had taken down a fully-grown giraffe. They obviously couldn’t leap high enough to grab a giraffe by the throat. Maybe they had attacked when the giraffe was drinking and had its neck stretched down to the water? But there was no sign of a lake or a stream nearby. That evening, I asked a park ranger at Olifants about it. She told me that the trick was to get the giraffe to run. Normally a giraffe walks in a very stately manner, but if the lion pack can scare it into running, there’s a good chance that it will tangle up its long legs, trip, and fall. Then the lions pounce before the giraffe can get back up. Lions working as a team to bring down a buffalo in Tanzania. Image by oliver.dodd. Unlike most cats, lions are sociable with each other and live in tight-knit groups called prides. The lionesses do most of the hunting as a pack, and the senior female leads the charge. They attack from behind, clawing and biting at the hindquarters of their prey until it collapses (giraffes are a special case). Sometimes lions hunt alone, but they are much less likely to succeed than a pack. But even when working together, lion hunts end with a successful kill only ten percent of the time. So to get the rest of the protein they need, they scavenge from other predators whenever they can. It seems abhorrent to us to eat carrion, but it’s important to remove dead animals and process them back into nutrients to feed plants. It’s a slightly more disgusting version of the circle of life presented in Disney’s The Lion King. A spotted hyena takes a break from crunching on wildebeest bones. Spotted hyenas also help to clean up corpses from the savannah, but not as often as many people think. In fact, lions steal from hyenas at least as often as hyenas steal from them. Kruger’s hyenas in particular hunt more than they scavenge; their favorite prey is wildebeest. In fact, just a few hours after we left the lion feast, we came across a hyena family polishing off the last of the meat from a wildebeest skeleton. I was expecting them to be slavering, cackling brutes like they are in children’s stories, but they were actually quite cute. Two adults carefully watched over four or five cubs as they crunched on ribs. Hyenas’ jaws are immensely strong; they’re built for breaking bones open to get at the marrow inside. Much like lions, hyenas occasionally hunt alone, but their chances of catching prey increase significantly when they work together. One of my top goals is to photograph endangered African wild dogs, which are also known as painted dogs and hunting dogs. Creative Commons image. Teamwork pays off for African wild dogs too; they have a higher successful kill rate than any other African carnivore – eighty percent. 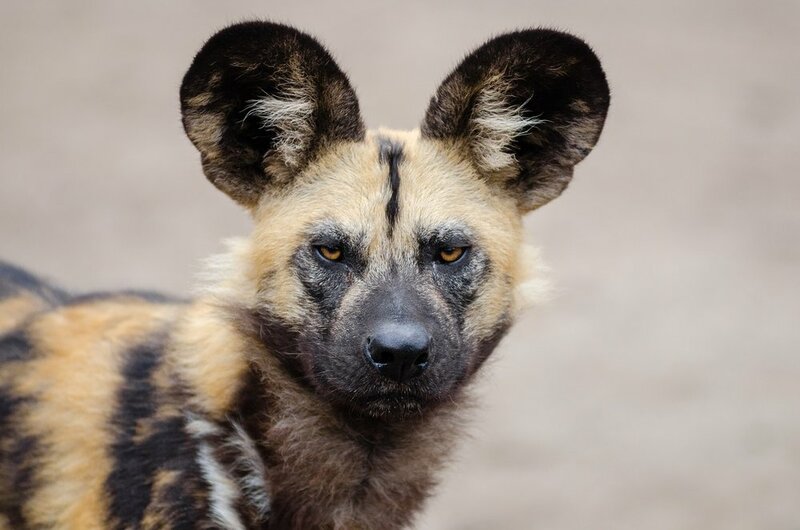 Like lions and leopards, wild dogs are obligate carnivores (sometimes also known as hypercarnivores). They owe their hunting success to their highly social nature. They work in teams, splitting up so some chase the prey, while others cut off its escape and ambush it as it runs. Then when they kill their prey – usually medium-sized antelopes like impalas – the pups get the first crack at the meal. This ensures that the new generations get the nutrition they need. But unfortunately, wild dogs’ success at hunting has made them enemies of local farmers, much like Yellowstone’s wolves. Bigger predators like lions also sometimes attack wild dogs so they can steal their kills. These days there are estimated to be around 400 wild dogs in all of South Africa, with Kruger hosting the largest population of about 150 animals. African wild dogs are pack hunting expert, which doesn't make them very popular among livestock farmers. Image by Bart Swanson. It was pretty gruesome to watch the lions tear apart the remains of the giraffe, but we stayed and watched for hours. We couldn’t tear ourselves away until the lions moved on. By that time, we were drenched in sweat and our brains were probably slightly fried. Still, there was a raw appeal in witnessing the brutality of nature. This was no zoo; the animals were not there for our entertainment. The experience served as a forceful reminder that this planet is home to far more animals than just us humans. In Kruger, we were visitors in someone else’s home. You can find the book Kruger National Park: Animal Tales by Emma Hanisch on the Apple iBookstore, available for free.